Kurt Schertle, Chief Operating Officer, Weis Markets, Inc.
Kurt Schertle is Chief Operating Officer of Weis Markets, a Mid-Atlantic food retailer operating 203 stores in seven states: Pennsylvania, Maryland, New Jersey, New York, West Virginia, Delaware and Virginia. Mr. Schertle oversees and directs all aspects of his company’s marketing, merchandising, procurement, advertising, store operations and supply chain, including its distribution and transportation teams. Mr. Schertle has more than 30 years of food retailing experience. Earlier in his career, he worked for Shoppers Food and Pharmacy, which operates stores in the Baltimore-Washington corridor. During his career in food retailing, he has worked as a Store Manager, Director of Pricing, Director of Non-Foods, Vice President, Grocery and as Senior Vice President, Marketing and Merchandising. Mr. Schertle joined Weis Markets in 2009 as Vice President of Sales and Merchandising. He subsequently served as Senior Vice President of Sales and Merchandising and Executive Vice President. Prior to joining Weis Markets, he was President and Chief Operating Officer of Tree Top Kids, a specialty toy retailer. Mr. Schertle is a graduate of Towson University. He and his wife Gina have three children and reside in Hummel Wharf, PA. He sits on the boards of the Academy of Food Marketing, St. Joseph’s University and Believe in Tomorrow Foundation. He is also a member of the Children’s Cancer Foundation. 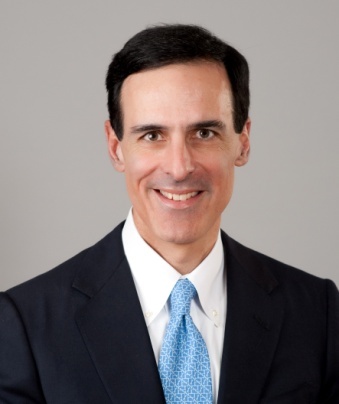 Ken Harris is a Founder and Managing Partner of Cadent Consulting Group based in the Firm’s Chicago Office. Prior to starting Cadent, Ken served as the CEO of Kantar Retail Americas Consulting and was a founding Partner and owner of Cannondale Associates. Ken is also the retired Chairman of Enjoy Life Foods, the leading producer of Free From foods in the U.S. and Canada that sold to Mondelez in March 2015. He is an author and frequent speaker at industry conferences. Ken has line management experience in marketing, trade marketing and sales at Jacobs Suchard and Coca-Cola Foods. He received his BA from The University of Michigan. Ken is actively involved in the Alumni Association of the University of Michigan, The USO of Illinois, The Boy Scouts of America and the Dana-Farber Cancer Research Institute in Boston. He lives with his wife Julianna and two sons, Ken and James in Kenilworth, Illinois. Jackie joined Cleveland Research in 2010, and serves as the Director of the Traditional Retail Council dedicated to writing research and hosting events for suppliers and manufacturers to help optimize their business in the mass, club, grocery, dollar, discount, drug, and specialty retail channels. Jackie holds a Bachelor’s Degree in Business Administration from the University of Notre Dame. She currently resides in Chicago with her husband and Border Collie mix, Scout. Dr. Stanton has also worked in the food industry and is a frequent speaker at major US food association meetings and conferences. He was previously Vice President of Marketing for Melitta, an international coffee company, and worked in Germany for Tengelmann, one of the world’s largest food retailers and owner of A&P. Dr. Stanton has consulted for many nationally known food companies, including Campbell Soup Company, Procter & Gamble, Acme, Kroger, Pepsi, Frito Lay, the Florida Department of Citrus and Kellogg among others. He has written 10 books and is currently the editor of Journal of Food Products Marketing and an editorial advisor of the British Food Journal. Chris has broad experience helping clients use “big data” to understand and predict consumer behavior and also in formulating high-growth strategies and actions. In his 29 year career, Chris has worked directly with some of the biggest manufacturers and brands in the world on how to best to grow using research, data and marketing analytics to optimize their performance. Over the years he is proud to have helped grow brands from companies like Anheuser Busch/InBev, Nestle, General Mills, ConAgra, Energizer, Procter & Gamble, Coors, 3M, E&J Gallo, Clorox, Reckitt Benckiser, Hewlett Packard, Coors, Hormel, Tyson, Hillshire Brands, Constellation Brands and many others. Chris’ fields of interest include consumer segmentation and targeting, geo-demographic segmentation, media optimization, category management and 1-to-1 marketing. His career has been surrounded by data of all sorts and he is particularly interested in leveraging data to create a deeper understanding of consumers, their behaviors, perceptions and attitudes towards brands and using that understanding to drive successful fact-based actions in both sales and marketing. Zachary is Head of CPG Sales at Google. He leads a team that is focused on helping brands & consumer packaged goods marketers leverage their data and consumer insights to better reach their business’ desired outcomes. Specifically, through the use of advertising and technology.